YUMIKO represents the spirit of a modern day dancer- colorful, unique, and professional. Yumiko is a specialty dancewear line created by Yumiko Takeshima, former principal dancer with Semperoper Ballet in Dresden, Germany. In early 2002, she launched YUMIKO dancewear and the YumiGirl Network. Since then, Takeshima has continued to develop her made-to-order line, as well as a ready-to-wear line, of high quality, great fitting, and beautifully designed dance and activewear for women and men. Over the last decade, Yumiko's designs have taken the dance world by storm. 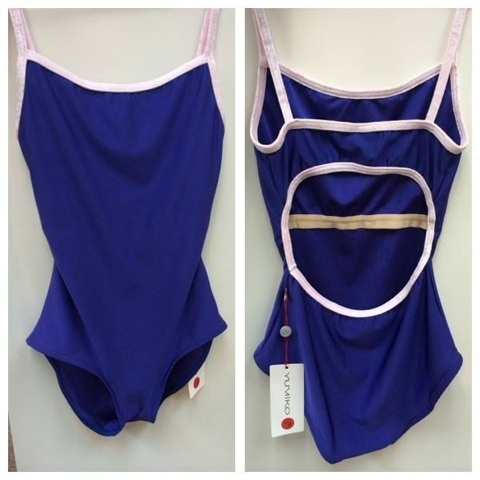 A YUMIKO leotard has a reputation among both students and professional dancers as a piece to express personal style in the studio while maintaining a clean, professional look. Portland Dancewear is the only YUMIKO retailer in the Portland Metro area. We carry a wide selection of colors and styles, many of which are exclusive to our store. Contact us for current availability. For those outside PDX, we are more than happy to ship directly to you!